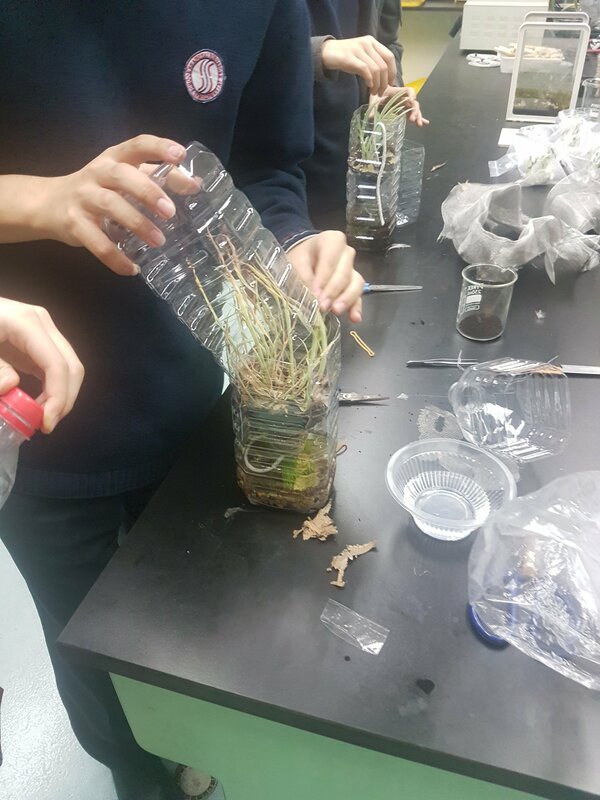 All about engaging students in Science., especially Bio! 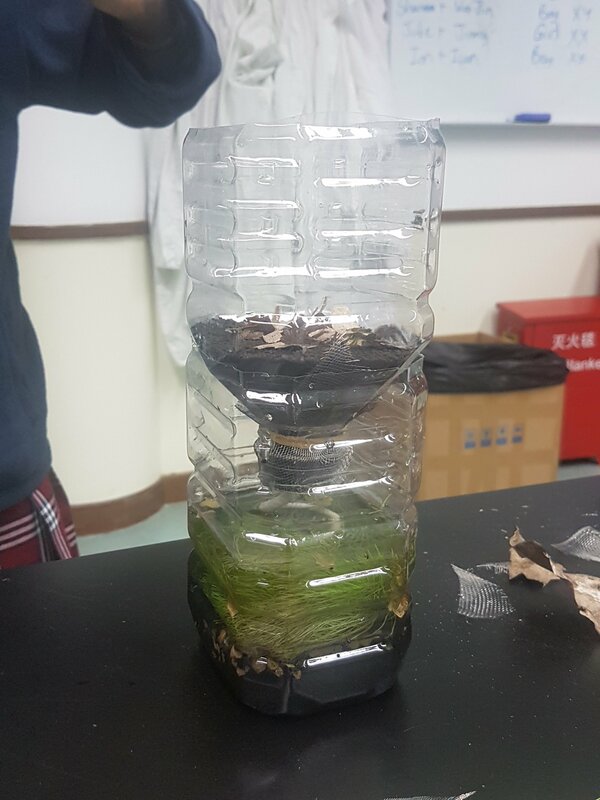 This week the grade 12 biologists constructed a closed hopefully sustainable ecosystem in a bottle. We discussed what is required for a sustainable ecosystem including the role of autotrophs, hetrotrophs, detritivores and saprotrophs. 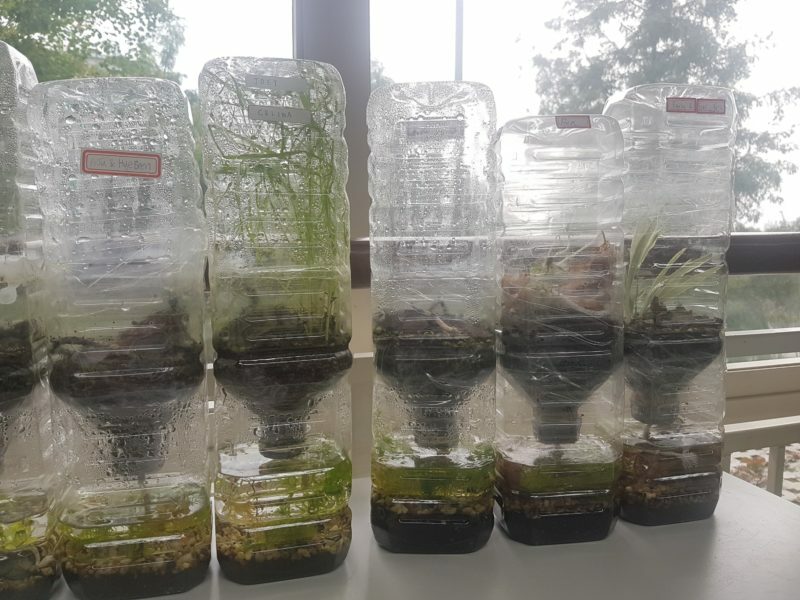 The students made their model ecosystem known as a mesocosm from two water bottles, soil, gravel, a selection of aquatic and terrestrial plants, and invertebrates. We will follow the growth and the development of the Mesocosms over the next few months. 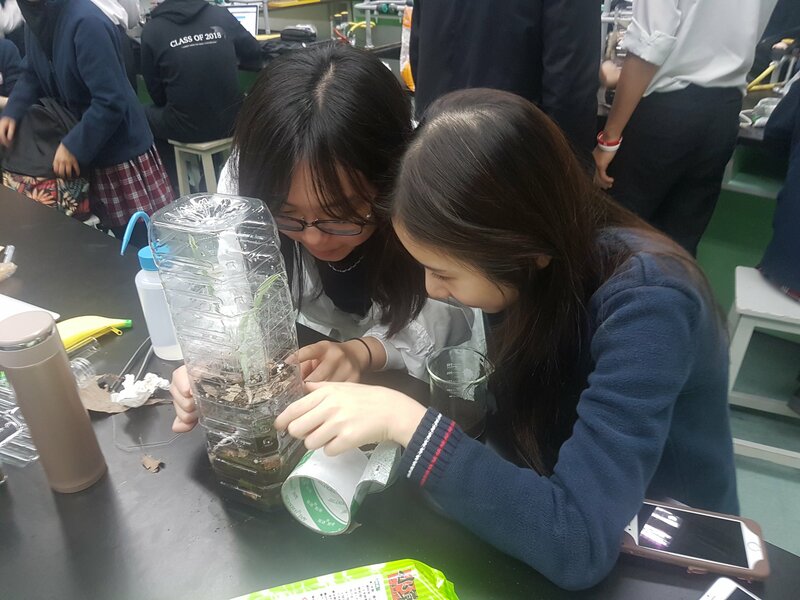 It is hoped they will continue as sustainable ecosystems until the students finish their last IBDP Biology exam! This entry was posted by Steven Gaynor on November 3, 2017 at 4:31 pm, and is filed under Uncategorized. Follow any responses to this post through RSS 2.0. You can leave a response or trackback from your own site. How do the world’s biggest drug companies compare, in their transparency commitments? How many epidemiologists does it take to change a lightbulb? “Transparency, Beyond Publication Bias”. A video of my super-speedy talk at IJE. Me on BBC: Viruses of the Future–Friends or Enemies? Use Google Translate to look up any science words you don’t know.